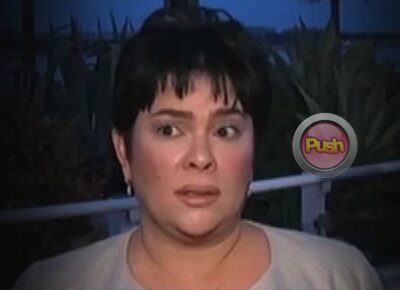 In the TMI segment of Tonight with Boy Abunda, veteran actress Jaclyn Jose reacted to the post of Jake Ejercito about her granddaughter Ellie. Jake recently posted a picture of his daughter Ellie and himself. The two were wearing a princess and prince costume and the caption read, “I’ll slay all your dragons for you my princess.” Ellie is Jake’s daughter by Andi Eigenmann, Jaclyn’s daughter. Opisyal na ring pinakilala ni Jake sa kanyang mga magulang na sina Laarni Enriquez at Manila Mayor Erap Estrada ang kanilang apo na si Ellie noong November 1.